After the “summer of hell” at Penn Station, Amtrak CEO Wick Moorman plans to step down. 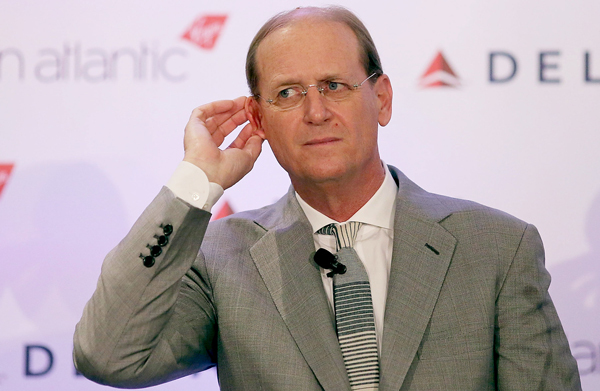 Former Delta CEO Richard Anderson will take over for Moorman in January and will serve as Amtrak’s co-CEO alongside his predecessor until the end of December, Politico reported. The changeup comes as Amtrak prepares to begin a series of repairs at Penn Station that are expected to cause significant disruptions for commuters. Last month, Gov. Andrew Cuomo said the schedule changes would result in a “summer of hell.” The governor has also been pushing to shift control of Penn Station away from Amtrak. The leadership change also comes as Amtrak and the Port Authority of New York and New Jersey are trying to find a way to kickstart the long-delayed Gateway tunnel project. The new tunnel from New York to New Jersey is expected to cost $20 billion, but the status of much-needed federal funding isn’t clear.